Artist Tasi and Ms. 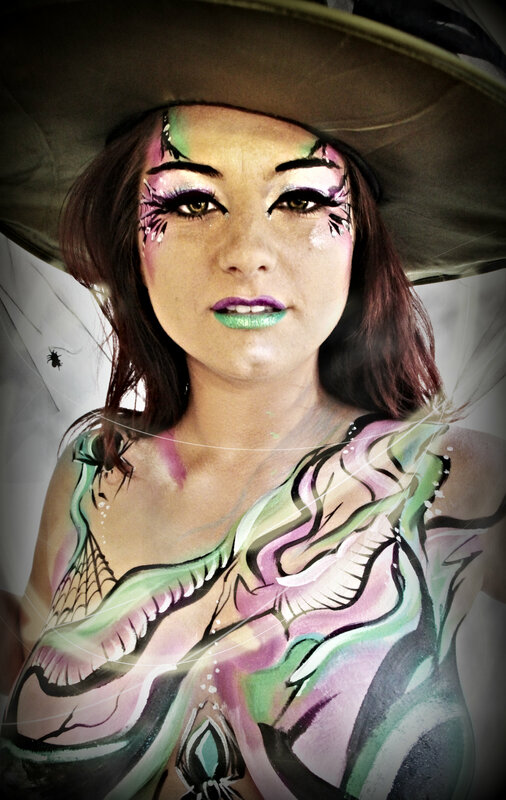 Savvy collaborate on a super fun, spooktacular body painting and photo shoot. This look was created using WolfeFX body paint, natural lighting of her San Fransisco corner flat, a Canon T4i, and some fantasy flare added in Photoshop. To hire Artist Tasi for projects needing body painting, photography, or digital effects contact us. Fill out a contact form with your details. Include and specific dates and times, so that we may check our availability for you right away. Ms. Savvy is a San Francisco bay-area model and tap-dancer. Thank you, Ms. Savvy, for inspiring this witchy collaboration and first October shoot of the season!